After opening with a quote from the controversial auteur, the "SMILF" finale focused on the victims of abuse in a moving finale. “SMILF” may be a Boston story through-and-through, but it’s aiming to reach a “Manhattan” audience with its finale. In the final episode of Season 1, Frankie Shaw’s Southie single mom Bridgette Bird prepares to confront her father, who sexually abused her when she was a little girl. Abandoned by her dad shortly after the assault, Bridgette grew up with her mom (Rosie O’Donnell) and just wants to be heard by the man who’s always ignored her accusations. By framing the episode around Woody Allen, Shaw made sure its message would be heard loud-and-clear. “We had the idea of the titles being the Woody Allen font as we were breaking the episode, and then we also put in the music in post, too,” Shaw said. From there, the implications are clear: Allen’s adopted daughter, Dylan Farrow, accused him of sexually abusing her when she was seven years old. In the series, Bridgette accused her own father of sexually abusing her when she was a similar age. 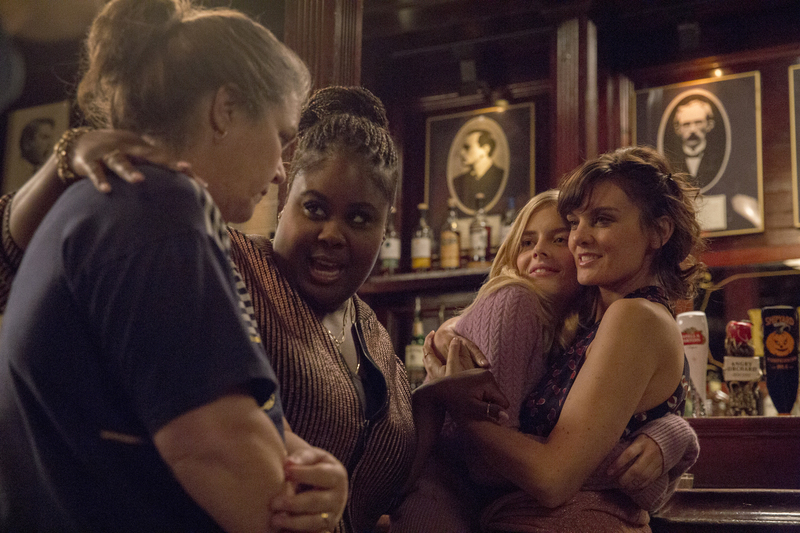 Throughout its first season, “SMILF” has successfully embodied its lead character’s unflinching determination. As Bridgette Bird strives to provide a better life for her son and herself, the series stands proudly behind her do-whatever-it-takes attitude. The Golden Globe-nominated series isn’t a passive character study but an inspiring story of perseverance. As more and more women step forward to to voice allegations of sexual assault, especially in the entertainment industry, Shaw has noted that “SMILF” is becoming part of that movement. People are reaching out to talk to her about sexual abuse and harassment (a topic memorably addressed in the third episode, “Half a Sheet Cake & A Blue-Raspberry Slushie”), and she hopes the series can continue to help vocalize difficult talking points. Though Bridgette doesn’t actually get to confront her dad — she mistakes another man for her father, reading him the letter she’d prepared before her mom intervenes to explain the mistake — the act of speaking up feels like a cathartic, vital moment for the character, just as the episode itself feels important beyond the show. “SMILF” Season 1 is available to stream on Showtime Anytime.